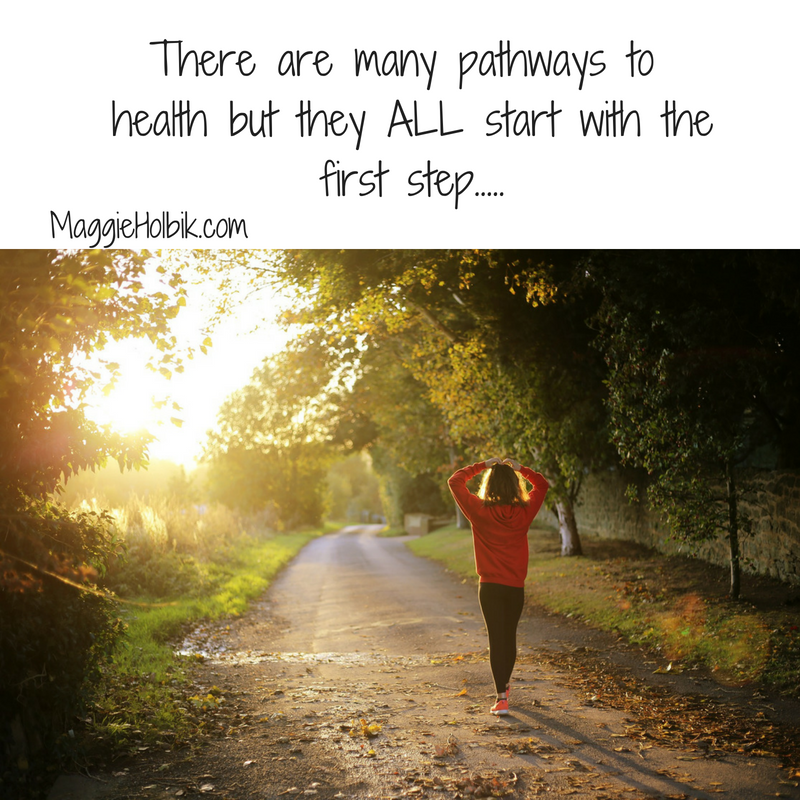 As a person who has been studying health and wellness for most of my adult life and having attained the title of Board Certified Holistic Nutritionist, one of the things that really fires me up and excites me, is that there are indeed many pathways to health. As a Life Coach of many years I have come to realize that everyone, including myself is and has been at different stages in our lives when it comes to health and wellness and what we do to improve that area. Sometimes we are more pro-active then others and sometimes not so much. The good news is that at anytime we can add in more good and it WILL make a difference. All steps start with the first. MaggieHolbik.com is a Life Coach and Nutritionist who resides in Northwestern Ontario Canada and did yoga outside in her back yard today for the first time! 🙂 First time outside, that is. See she’s adding in more… more yoga, peace, sunlight, listening to the birds…. What will you add more of? Contact Maggie for a free 15 minute discovery conversation to explore healing options for you and how you can add 'more' into your life! Previous postAre you Withering Away?